Brand new for the Fall of 2010, Firstgear has released an abundance of new motorcycle apparel. Last year they focused on jackets, including the TPG line; this year, the focus is on motorcycle pants and their one-piece commuter suit. They've also produced a group of upgraded gloves. All of this gear offers massive improvements over previous iterations with upgrades in fit and articulation, better materials, and more sound design across the board. Here is our Firstgear Fall 2010 Gear Guide. The first major standout to us in the new lineup are the Firstgear TPG Escape Pants. Originally released in 2008 as part of the then brand new Firstgear TPG line, the Escape pants did not have the same level of R&D or thought put into them as a exceptional product like the Firstgear TPG Rainier jacket did. The pants weren't properly articulated for comfort or movement, they had a very boxy fit to them and they didn't have d3o molecular-level armor. This year's model is completely restyled and redesigned for long-distance touring and touts the addition of d3o armor in both the hips and knees. Even the standalone liner pants offer completely upgraded style over the previous iteration. 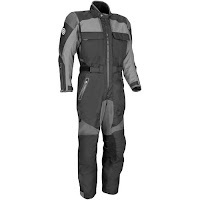 New for Fall 2010 is the Firstgear Expedition Suit, a brilliant piece of gear for the rider who wants all the features of a one-piece riding suit without having to shell out a thousand bucks for it. The Expedition is a completely waterproof breathable oversuit that will keep you warm and dry whether you are ripping trails off-road or simply commuting to work. The input of a lot of the features of the TPG line of Firstgear apparel translates to remarkable functionality at this price point. The massive quantity of vents in this suit provide maximum ventilation for true four-season functionality. There are YKK zippers throughout the suit with waterproof pockets and the main connection zipper is a Scuba-level RiRi zipper. Firstgear hit it out of the park with the Expedition. Three other pairs of pants are brand new for Fall 2010 from Firstgear. The Firstgear HT Overpants & Firstgear HT Air Overpants both have far superior fit and articulation than previous models just like the TPG Escapes. They are lighter and more flexible than previous models and are built as a touring fit for long-term comfort. The HT Overpants are three-season Fall-Winter-Spring riding while the HT Air Overpants are three-season Spring-Summer-Fall riding. The HT Overpants have a waterproof breathable membrane in addition to a removable zip-out liner pant that can be worn as a destination when you hop off the bike. The HT Airs have the waterproof breathability built into their destination liner pant. 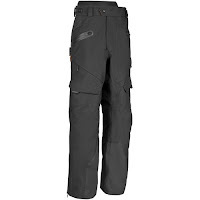 For maximum performance in hot weather, the new Firstgear Mesh Tex Pants are a great option for sport touring. The previous model of the Mesh-Tex Pants were styled after a leather track pant, which meant uber-snug and very untenable for long-distance riding. These pants are cut more generously, touring-style, with a high waist and comfortable articulation. 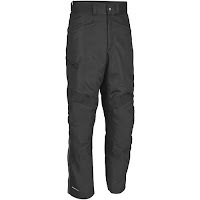 Constructed from durable 250D polymesh for maximal airflow with adjustable CE rated knee armor, the Firstgear MeshTex pants also have heat-resistant reinforcements on the inner calf on each side. These pants are designed to keep you cool and protected in warm weather riding and are a massive upgrade over former versions. Firstgear also came out with six new gloves for this season, three of which are available in women's specific cut and fit. 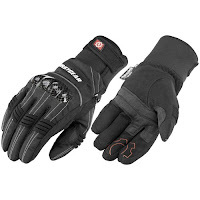 Every glove is redesigned with better articulation, comfort and protection over their predecessors. Two of the standouts are the Firstgear Kilimanjaro Glove, a cold weather waterproof breathable gauntlet, the Firstgear Kilimanjaro Air Glove, a lightweight mesh, leather and textile summertime glove. We're also pumped about the Firstgear Navigator Gloves, full Goatskin leather construction with a waterproof breathable membrane built as an all-season glove. Our favorite glove in the new lineup is the Firstgear Kathmandu Glove, an ADV touring style waterproof breathable textile glove. We have full HD video reviews of the entire Fall 2010 Firstgear Gear lineup that can be seen at RevZillaTV or on the individual product pages at RevZilla.com. Firstgear took a giant leap forward these year with their new ADV touring gear and we are impressed to say the least. All of this gear is certain to go head-to-head with other leading brands on the market. Stay tuned for more details on new Firstgear apparel.